Today I recommence my GR10 walk from the Atlantic to The Mediterrean along The Pyrenees. 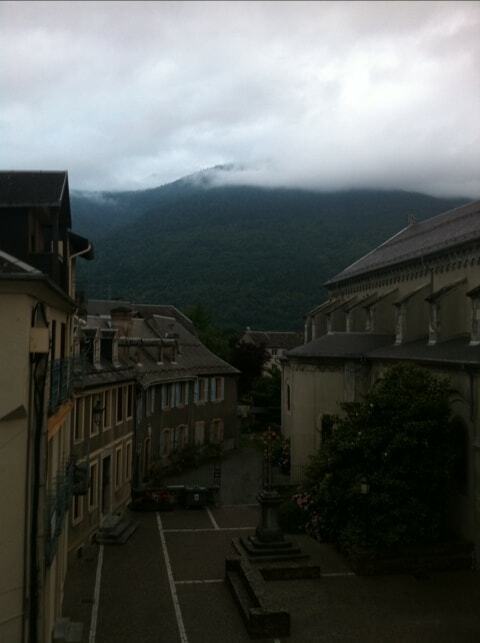 I stopped halfway in Luchon 4 years ago in freezing cloud & very wet! Today is not looking so good either. It should be 11 hours to get to Fos reaching 2193metres above Luchon (650metres). Drank all my 2 litres of water! On Pic de Cabanere (2193m) I managed to glimpse above the clouds the Pyrenees only glacier! Otherwise visibility was horrific – thank goodness the balisage were plentiful on the tops. Good luck not that I think you need it , I am sure you will do it easily just like you always do.